What does Amazon Prime give you? I thought… free shipping and a few free kindle books? 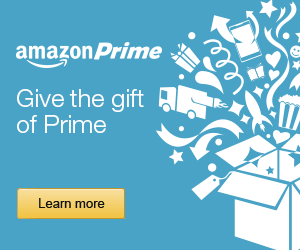 I have had Prime for a month (I bought it on a special discount deal for $73.00). I really wasn’t sure if I ordered enough from amazon to just not to have to pay for S&H. I went back over my previous year’s orders and by May I’d paid $50 in shipping costs. One of the best Amazon Prime account benefits is free two day shipping. You can even defer the forty eight hour shipping if you want, for five days – and get a one dollar or equivalent credit toward a digital order. I didn’t look further – I just ordered it! Obviously it was going to pay for itself and more! I have been cramming in time for movies and television shows that I’ve wanted to see for ages! I had no idea there was so much included in Prime membership! And there is so much more! I no longer pay for any television packages on cable or Direct TV. I couldn’t get the channels I wanted. One particularly great benefit is being able to watch some HBO series, if you haven’t been able to pay for HBO in the past. The Americans and Boardwalk Empire, to name two. A student must have a .edu email address. Considering every small thing one can order with free shipping – what a deal! You do not have to wait for the six month no-cost period to end, to buy a standard Student account for $49, or about half the regular price. Prime Pantry! Take a look at all of those groceries and household products! An adult account holder can add another adult in the household to their account. Up to four children can have their own profiles, book and movie collections. Now adults don’t have to hear the kids arguing about what to watch or read. Most children have their own devices these days. Even the younger ones might have a Kids Edition Kindle 7 with the built in parent’s programming options. Millions of songs and thousands of play lists are yours to access. And with no ads to interrupt your enjoyment. Your Music Library on the Web Player. I feel like a kid in a candy shop, sugar rush overloaded! This is so much fun! Plus there’s the unlimited amount of space for photos – photos I’m taking with my new Kindle Fire 7! 800,000 Kindle Library books included – borrow one a month with no due date. Prime members get early notification of Lightning Deals! Those are the ways you can save money with your amazon Prime account. Factor in how much more time you will spend at home with no need to go out for all the entertainment. Cook at home, save on gas, and get the laundry done while you’re watching. You will save time too. All in all, for the reasons cited above, I think Prime is a wonderful gift to give! And below is another wonderful deal, and it caught my eye because a close friend of mine – whenever I recommend a book – asks me “Is it on audible?” She loves to listen to books as she goes around the house tidying and what not. 30 days free! 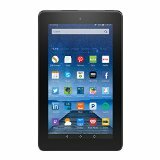 This entry was posted in Prime Benefits and tagged what does amazon prime give you on May 23, 2016 by Dee.